Roger (Buddy) Koopmans of Faribault, Minn., organized the Buddy Koopmans Orchestra in 1948 when he was still in high school.Back then, young musicians dreamed of being part of a Big Band.He brought together up to 16 instrumentalists from the region (including Northfield resident Hartley Clark, then a Carleton Col­lege student) and arranged for 4-5 gigs each year.Recently Gary Anderson, a clarinetist who started playing in the Buddy Koop­mans Orchestra at age 13, bought the band from Roger.What do you get when you “buy a band.” Books of music, the classic Big Band fronts (music stands), and the right to use the name.Gary brings 16 musicians together, pulling from around the region including the Twin Cities of Minneapolis and St.Paul.Fine musicians come together to perform just because they love playing this kind of music. 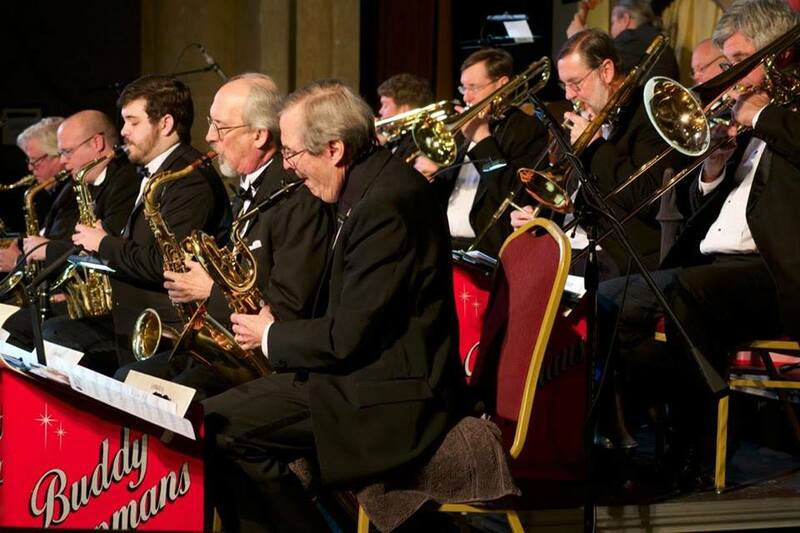 Buddy Koopmans Orchestra will be onstage at 8:30pm Saturday, July 28 at VBF 2018. Twin Cities Brass Band aims to bring the grandeur and excellence of European-style brass bands to the heart of Minnesota. The band also strives to promote leadership and inspiration for younger generations and to enrich lives through music. Based in Bloomington, Minnesota, the band’s 25 members rehearse year-round and dedicate themselves to performing exciting and challenging literature at a high level. This is the band’s first appearance at the Vintage Band Festival. Its conductor is Adam Hille. Twin Cities Brass Band will peform at 3:00pm on Saturday, July 28 at VBF 2018. Metro Brass is a group of 11 amateur musicians from the Minneapolis-St. Paul area who have only played together for five years. They all play in other ensembles, but come together for the “Metro Brass Sound.” Metro Brass is led by Keith Thompson (trumpet). Recent performances include a concert with the St. Croix Valley Concert Band in Hudson, Wisconsin, and a concert for the opening of the Shell Lake Concert Band camp in Shell Lake, Wisconsin. This is the group’s first appearance at the Vintage Band Festival. 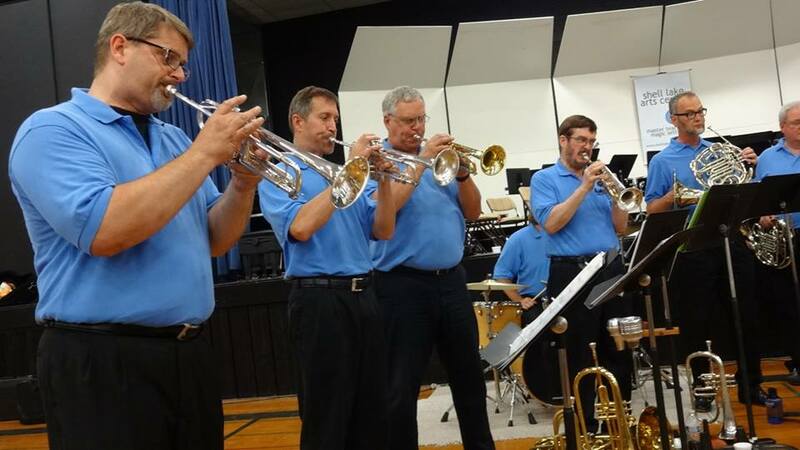 Metro Brass will play at VBF 2018 beginning at 5:00pm on Saturday, July 28 in Downtown Northfield, MN. This entry was posted in VBF Bands, VBF News and tagged Buddy Koopmans Orchestra, Metro Brass, Twin Cities Brass Band on July 19, 2018 by Dan Bergeson.